Dark Shadows-Tim Burton, the Exhibition. 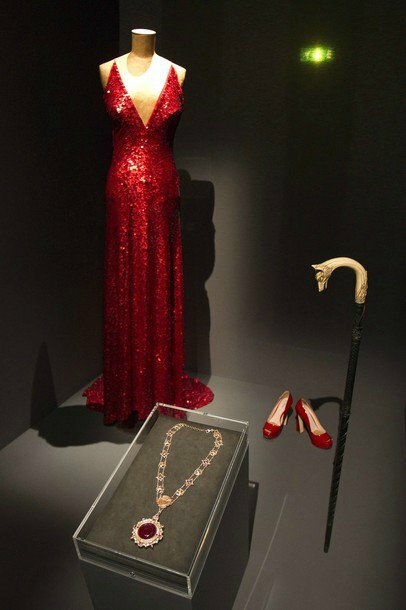 Angelique's Dress (L) and Angelique's Shoes (R), worn por Eva Green in Dark Shadows, 2012, and Barnabas Collin's Medallion, worn por Johnny Depp, are displayed during the event "Tim Burton, the Exhibition" at the Cinematheque Francaise in Paris March 5. Wallpaper and background images in the Tim Burton's Dark Shadows club tagged: dark shadows tim burton.